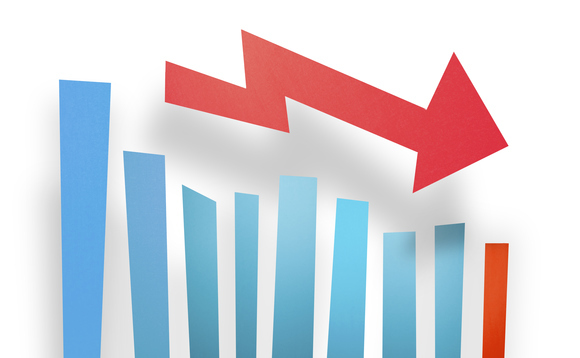 Net inflows into Ucits and AIF funds in May declined from €65bn to £52bn compared to the previous month, according to the latest European Fund and Asset Management Association (Efama) data. The decline of inflows was largely driven by bond funds, which decreased from €23bn to €14bn between April and May while equity funds reported a slight turnaround from €-1bn to €3bn month on month. Multi-asset funds also struggled, with net inflows slowing down gradually from €6bn to €5bn month on month, while money market funds increased in popularity, with inflows growing from €11bn to €17bn. Despite the troubles in fixed income, Ucits net assets increased by 1.8% in May to €8,290bn, while AIF assets increased by 1.6% to €5,229bn. Overall, total net assets of European investment funds increased by 1.8% in May to stand at €13,519 bn at the end of the month.